Win a copy of Gloria, the brand new choral work from Karl Jenkins! HWI has teamed up with EMI Classics to offer you the chance to win one of FIVE copies of Gloria, the brand new choral work from Karl Jenkins, the most prolific and performed composer in the world today. Karl Jenkins has also been honoured in the Queen’s Birthday Honours list with a CBE for services to music. 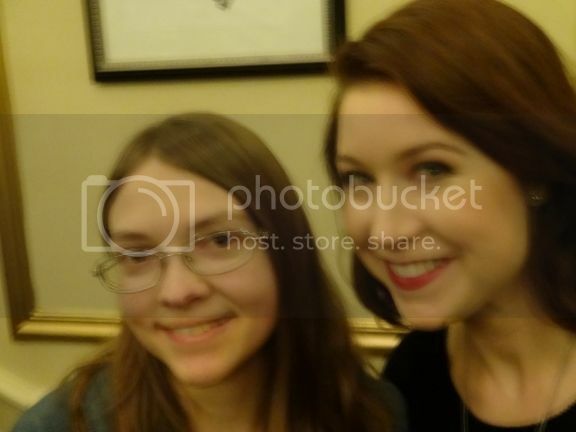 Hayley Westenra is a star performer on this album, a preview of her performance can be heard here on the HWI website. Breaking new ground, Gloria will receive its world premiere performance at the Royal Albert Hall on 11 July 2010 by Britain’s largest choral society The Really Big Chorus, with the English Festival Orchestra and student vocal soloists conducted by Brian Kay. On 12 July, EMI Classics will release a studio recording of Gloria, paired with Jenkins’s Te Deum featuring the composer conducting the National Youth Chorus of Great Britain and the London Symphony Orchestra with star soloist Hayley Westenra. Jenkins’s Gloria is in five movements and takes as its main text the Latin version of the hymn of praise to God from the traditional Christian Mass. Jenkins says, “Gloria in excelsis Deo (Latin for Glory to God in the highest) is the title and opening line of an ancient hymn that begins with the words that the angels sang when the birth of Christ was announced to shepherds in Luke 2:14. The second work on the studio album is Jenkins’s Te Deum, composed in 2008. Sometimes known as the Ambrosian Hymn, the Te Deum is an early Christian Latin text praising God. The title is taken from the opening line, Te Deum laudamus, which translates as We praise you, O God. The text has been set to music by many composers, including Haydn, Mozart, Berlioz, Verdi, Bruckner, Dvořák, Britten, Byrd, Tallis Purcell, Handel and Elgar. Gloria is the first commission by The Really Big Chorus, Britain’s largest choral society, which is made up of singers from hundreds of different choirs all over the UK, as well as thousands of individuals. To win one of FIVE copies of this album, just answer one simple question in the next post in this thread. This is an HWI competition in conjunction with EMI Classics or their agents, but unfortunately, entry must be limited to existing members aged 18 or over. Good luck to all who enter! 1. Entrants must be a member of the HWI forum on the date and time this competition is first published and aged 18 or over on the date of their entry. 2. Entries are allowed from all Countries. 3. Send your answer to the question at the end of this list by private message to the competition organiser (forum Admin Dave) with message subject: "Competition Entry". Your message body should contain only the competition answer and your forum screen name - any queries should be posted in this thread so that everyone can see the reply. 4. Winners will be identified by forum Admin Dave (competition organiser) within one day of the closing date if possible, and the winning members' screen names and countries of residence (only) will be posted in this thread and on the HWI website. 5. If more than five eligible entrants have the correct answer, the winners will be determined by the competition organiser, by first allocating a sequential number to each correct entry, in order of date/time of receipt of the relevant private messages and starting at 1. 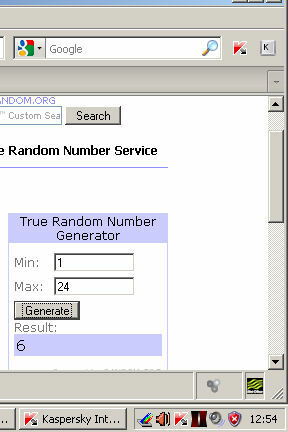 The random number generator at www.random.org/ will then be used five times in succession to determine the five winning sequential numbers and the corresponding member names. Competition organiser's decision is final. 6. When the five winners are known and their screen names posted, the competition organiser will send a private message to each winner, with details of an email address at the offices of competition prize donors Headstream.com (on behalf of EMI Classics), to which winners may in confidence send their postal address and claim their prize. Alternatively, if any winner prefers to send this information to the competition organiser (Dave) by private message, this will be forwarded to our contact at Headstream.com. Do not send addresses anywhere unless you win. 7. Competition prize donors Headstream.com (on behalf of EMI Classics) will post a copy of the prize CD direct to each of the five winning members and this is likely to be done on or before the UK release date of the album (12 July). 8. Competition is open to HWI forum members aged 18 and over (but not to the competition organiser, or any employee of EMI Classics or their agent Headstream.com). Only one entry per household. Prize is non-transferable and non-refundable. 9. Competition organiser is NOT eligible to participate but all other members of the forum staff ARE eligible to participate if aged over 18 (only the competition organiser has been and will be involved in the setting of the question or determining of the winners). 10. Multiple entries by the same member/person will be disqualified, entries by members under the age of 18 will be disqualified and members posting spoilers or other clues to the answer may be disqualified and other action taken (at organiser's discretion). 11a. By entering the competition, members agree to accept these specific competition rules and the general HWI competition rules (posted in a separate thread in the Competitions board). 11b. Closing Date: Monday 5 July 2010 at 23:59 British Summer time. Which of the following six original CD albums recorded by Hayley Westenra was her first to include a song composed by Karl Jenkins? Choose *one* of albums 1 to 6 below. Send your answer by private message to Dave, subject line "Competition Entry" - with only your answer (1 to 6 and/or album name) and screen name (use the link above if it works, or the normal private message method). You must be logged in to send a private message! Post any queries in this thread please. I should point out that very few competitions have such good odds. There are around 500 HWI members, and albums to be won, and even if all of them enter and get the answer right, the odds of winning would still only be one in a hundred. That is pretty good. So go for it! By Screen name you mean the forum username, not the name we sign the posts, right? Hi Michal, by screen name I mean what's called Display Name in your member Profile - you can change it so it might not be the same as your original Username. Either is acceptable but screen/display name (mihizawi) is quicker for me to recognize. Please don't use the name you sign your posts by (Michal in your case) as I might not recognize that or two members might sign the same! The competition to win one of five CDs of "Gloria" by Karl Jenkins (featuring Hayley) will close at 23:59 UK time on Monday - only one day to go so don't miss your chance to enter! Full details at the start of this thread. Winners will need to email their postal address either direct to the competition donors (EMI Classics' PR company) or optionally by pm to me. Full details will be provided when the competition closes. You will have a much better chance of winning this than winning the lotto so don't be shy! If anyone wants to submit a question for Hayley or Karl, see this thread here (but it will close several hours before the competition). Many thanks to everyone who took the trouble to enter. I have now collated and cross-checked all entries to my private message in-box to ensure that nobody who entered is left out. All private messages sent to me on this subject will be marked as "read". The answer is "3, Pure" and 24 members (but not everyone!) got that right. This means that I will be randomly selecting 5 winners from the 24 correct answers and this I will do on Tuesday, at about lunchtime (12 - 2) UK time. 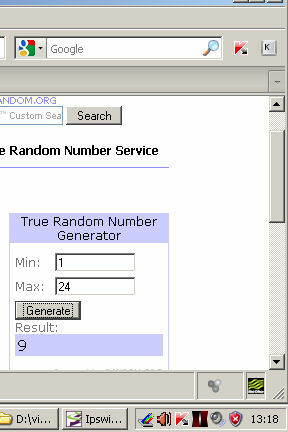 I will post each winner's name in this thread, one at a time, as I make the draw using www.random.org/ . I will remove each winner from the draw and renumber the remainder, so the 2nd draw will contain 23 names, then 22 and so on, until we have five winners. Good luck to the 24! I will post each winner's name in this thread, one at a time, as I make the draw using www.random.org/ . On reflection, to simplify the procedure, I will keep the initial numbering 1 to 24 of members with the correct answers until all five winners have been picked. If a number comes up more than once, only the first time will count as a winner and I'll make an additional draw(s) until we have five different winning members. It would not be right to allow anyone to win more than one CD! And in the interests of openness I'd better post the draw numbers and names of the 24 with correct answers. Only members over the age of 18 and who registered on the forum before the competition opened can be winners. Well done Dori! Lucky you decided to enter in the end! Well done Grant - you jammy dodger you! More information to follow for the five lucky winners. Well done to all five winners and I will send each of you a pm today with an email address at EMI Classics' PR company Headstream.com, from which you can claim your "Gloria" CD.